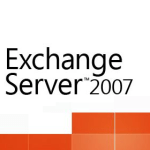 This tutorial will show you how to disable autodiscover on an Exchange 2007 on-premise server. Microsoft says this can’t be done, but the following steps below do work and have been tested. We were recently involved in a 365 migration and needed to connect to the old Exchange server to export a few PSTs. The problem was, you can’t plug your Exchange server back into your network because it will cause your current autodiscover to break. And yet, you need it connected to the domain to export the PST files correctly. We also ran into another snag where our Exchange 2007 server was 64bit and to export PSTs you have to use 32bit Exchange management tools. So we had to install the 32bit Exchange Management tools on another server to connect and export the PSTs. Follow the steps below to disable autodiscover. There are three different things you will want to check that could be running and causing your autodiscover to be still pushing out from your on-premise Exchange 2007 server. First, if you have an Exchange Service Point Connection running, your Outlook clients in a domain will look first at the SCP point, no matter what your internal DNS record is. Therefore you will have to disable/remove this. You will want to disable the Autodiscover App pool in IIS on your Exchange 2007 server. Launch IIS. I also recommend right clicking on it and setting “Start Automatically” to False. Just in case you have to reboot your server. Internally you will want to make sure you have a CNAME for “autodiscover” that points to Autodiscover.outlook.com; your new 365 environment. Once you have checked all three of these things, you should be able to safely connect your Exchange 2007 to your network and grab backups.